The Trashy Diva ballerina dress is such a classic style and it’s so versatile; I love that they’ve got it in this gorgeous new color. The harness adds a sophisticated edge with the leather collar which would work perfectly with the shape of the dress. Finally, a pair of super shiny, super high, silver shoes. I must apologize, I couldn’t help myself with that title. Oh these loafers, these Jeffrey Campbell studded loafers. They are wonderful. I love a good loafer, and I’m more willing to spend a little extra on such a classic shoe. I already splurged on these, so I’m thinking a DIY version may be in order. This craving is incredibly specific, not just any boot will do! Are you dreaming of Fall? Or do you prefer the hot weather? Also, be sure to check out my guest post for Slow Southern Style! American Flag Fashion: Good or Bad? For quite a while (since the Spice Girls took over our childhoods maybe?) the Union Jack has been fashion’s foremost flag. While the American Flag has been deemed tacky by some, it’s popping up everywhere. I’ve seen everything from a $15 Forever 21 tank to Balmain’s $1515 flag tank that’s been causing quite a stir. 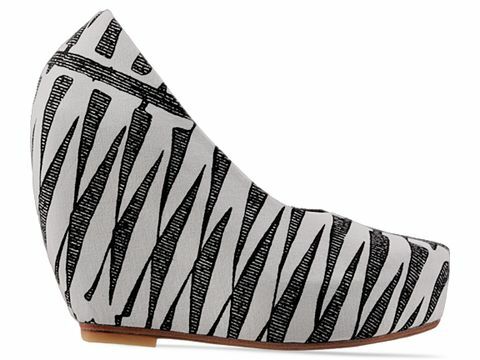 And then of course, there are these stunners from Jeffrey Campbell. 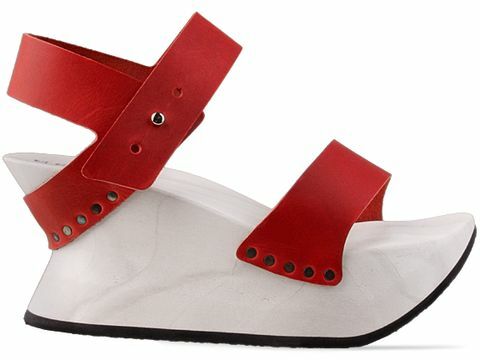 I absolutely love Jeffrey Campbell and rarely find a shoe that I dislike, but I’m not sure how I feel about American Flag platform sandals. Honestly, I’m not sure how I feel about American Flag anything. I just can’t get into it. I couldn’t quite think of a proper title for this. I’m speaking exclusively about modern shapes, but I’m loving those shapes with girly florals, pretty lace, bold prints, and of course; classic patterns. I know I’m being somewhat broad, but so what….I like it. I think it all started when I saw Prada’s Spring 2011 collection and that striped skirt that has now become somewhat of a legend. And most of all, look at what it’s paired with. This is what I’m talking about, a bold top with hard lines. No draping, ruffles or frilly anything. It just has that beautiful classic baroque pattern, and paired with a bright, striking, fitted pencil skirt. It’s a new age of fashion. Miuccia herself called it “minimal baroque” which is the perfect way to describe what I’m thinking about but I couldn’t steal her description for my title now could I? Whoa run on sentence. 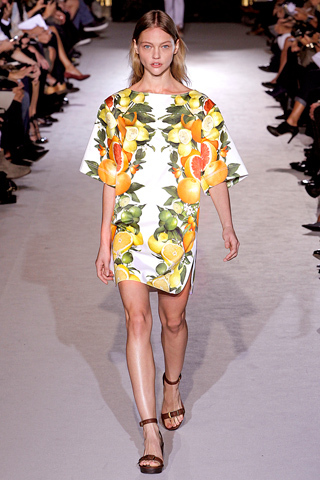 And then Stella McCartney had Spring 2011 RTW collection which featured bold colors and my favorite, that awesome fruit dress. Her Resort collection not long before that had similar pieces, but with huge floral patterns. I love the fruit. Forever 21 has a great floral lace moto jacket, and I think it is the perfect piece to use to subtly mix patterns. 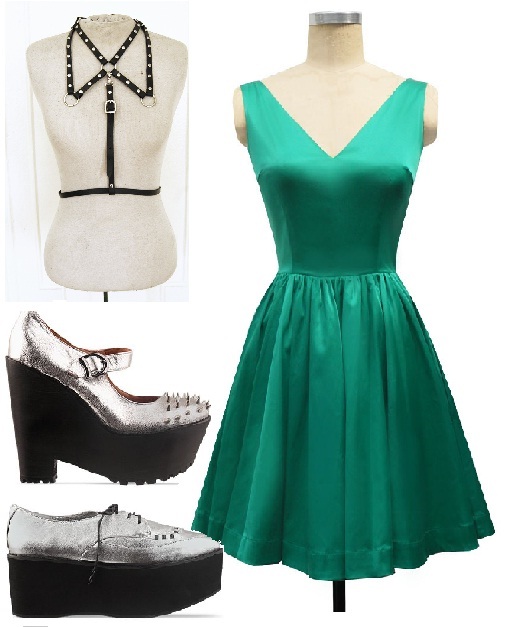 The fitted jacket, fitted skirt, simple tights and sky high wedges are all in bright, classic colors and patterns. 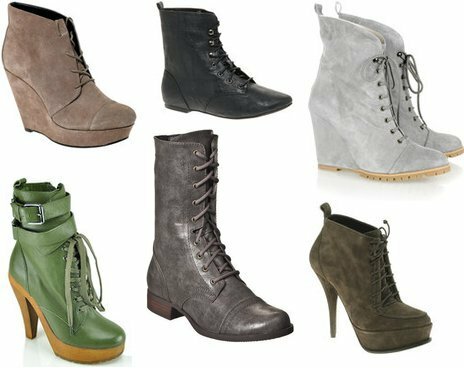 I am really loving lace-up boots this Fall/Winter. It’s such a crisp, classic look with a somewhat laid back feel. 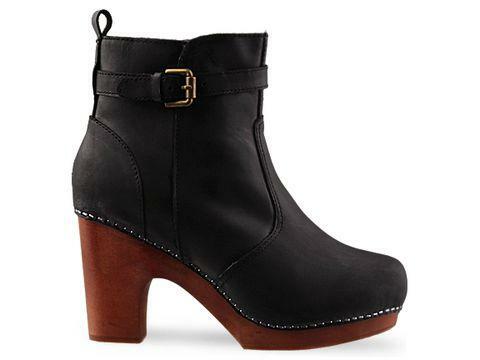 While I was browsing ShopStyle I couldn’t believe how many great Jeffrey Campbell boots I saw. I find myself fascinated with the green pair at the bottom left, I don’t usually go for that shade of green. Maybe I’m bias because of JC?